Oh, Man. You Forgot To Pay Your Electricity Bill? Situation: With all those fun parties and club openings last weekend, you forgot to pay your electricity bill — and now you're left in the dark. Feelings: Mentally bummed, physically hot and, of course, hungry. Goal: You want to fix up something cool and easy to eat, albeit something you can make with limited light, no oven or stove and no air conditioning to cool you down. 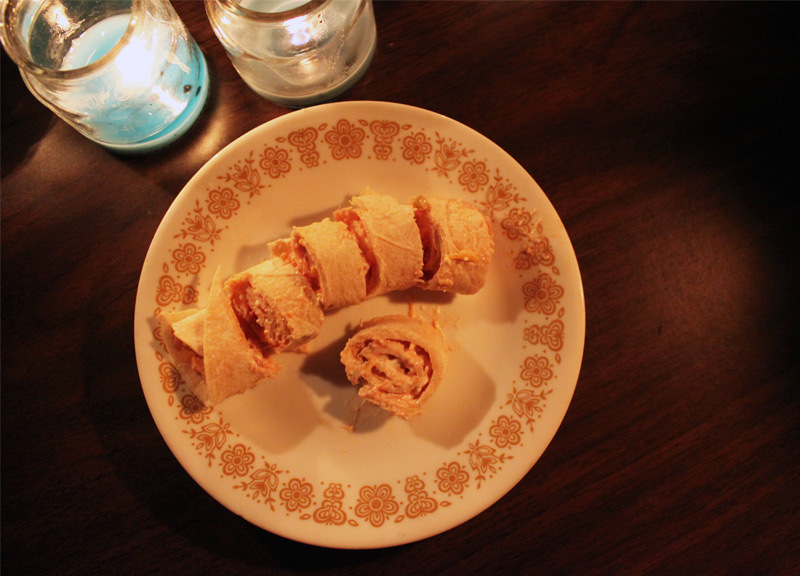 Sounds like a cream cheese tortilla roll-up is exactly what you need. 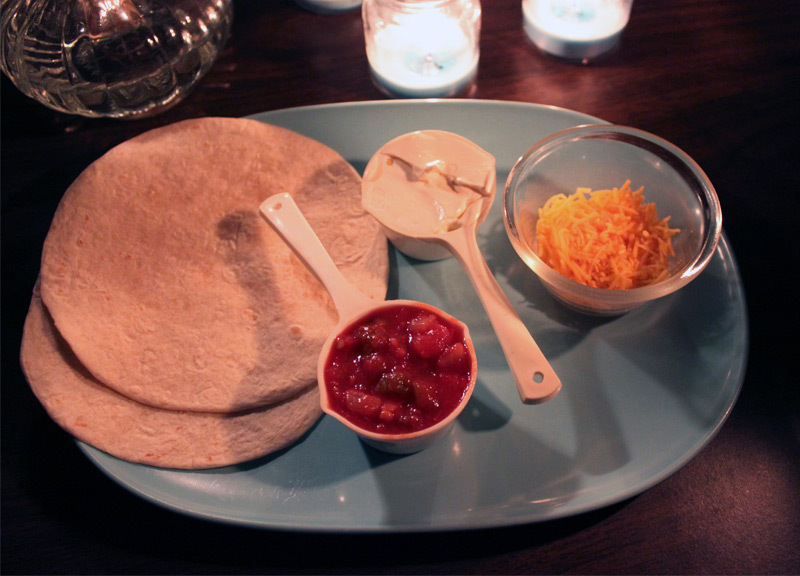 Ingredients: Two flour tortillas, 1/4 cup of softened cream cheese, 1/4 cup of salsa and some shredded cheddar cheese. 1. Mix cream cheese and salsa together. If your cream cheese isn't soft, just stir it around until it gets smoother. 2. 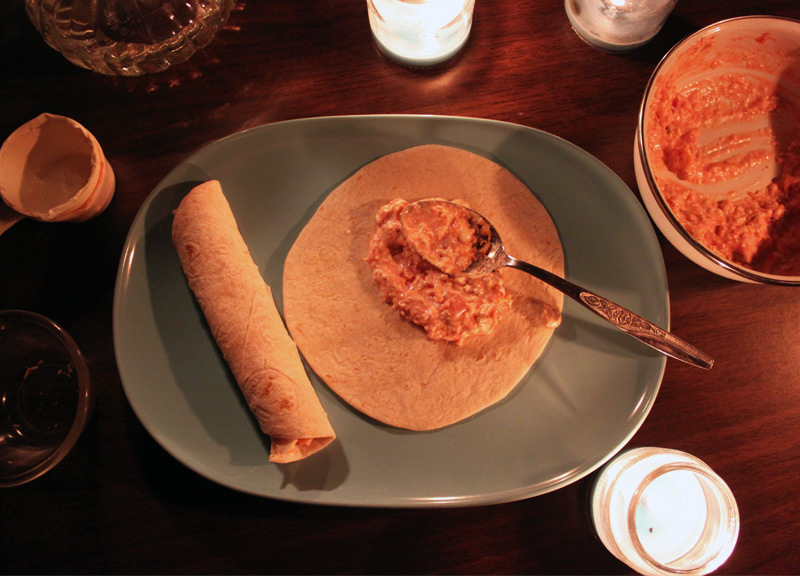 Spread mixture onto tortillas. 3. Sprinkle with cheddar cheese. 4. Roll that sucker up! 5. Slice into cute little rounds. Now open some windows, light some candles and chill. You've got a pretty boring night ahead, we know. But, after that weekend of raging, some undisturbed sleep isn't such a terrible thing, is it?